The one thing that most people know about this plant is that it was the source of paper for ancient Egyptians. They started to use it for writing on circa 5000 years ago, and carried on up until the 8th or 9th century, when fibre materials replaced it as the medium of choice for literary Egyptians. This is the first of two posts about Cyperus papyrus, it covers this fascinating plant’s value and uses, both old and new. In the second post, it’s described and intriguing questions of taxonomy and distribution are discussed. To make paper from papyrus, the Egyptians, and later the Romans and others, pressed strips of pith from the flower stems together and dried them. No glue was needed, because the plant’s sap and some Nile water did the job. Papyrus isn’t as robust or flexible as paper made from fibre, so once the Chinese had used a Mulberry to make the first fibre-based papers in AD 105, its days were numbered. It took the Arabs to capture a Chinese paper factory in Samarkand, followed by them capturing sizeable chunks of southern Europe, to spread the new technique (Parsons 1949). Europeans had put it in the recycle bin even before that, in the 3rd century, preferring to write on vellum, because animal skins were cheaper than importing papyrus. The RHS describes Cyperus papyrus as a “tender aquatic perennial”. This is gardener’s speak for: it’s not woody, it’s killed by frost, needs its feet in water, and lives for two or more years. However, since it doesn’t lose its leaves (or indeed its photosynthetic culms), if kept in a heated greenhouse, perhaps it might better be described as an “evergreen” perennial. There are many of these outside in our gardens, such as Hellebores (Helleborus spp.) and many Euphorbias (Euphorbia spp.). (RHS 3). 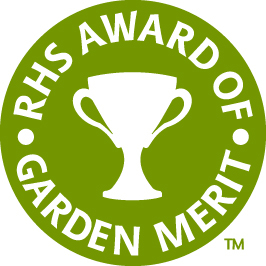 It has achieved the Royal Horticultural Society’s Award of Garden Merit (RHS AGM),which shows that this lovely species has been recommended to gardeners by a committee of the RHS (RHS 3). Can you grow it outside? The RHS describes its hardiness, in the UK, as “required heated glass; may be grown outside in summer”. Hmmm … Victorians may have had a bevy of gardeners, under-gardeners and junior gardeners to manhandle it out of the greenhouse every Spring and then manhandle it back inside again in Autumn, but there probably aren’t many places that could afford this kind of manpower now. And, generally speaking, these days, it’s more likely to be encountered in botanic gardens or institutional collections than in private hands, given the cost of maintaining a heated greenhouse. The priorities of a botanic garden aren’t the same as a horticulturalist’s display, so taking it outside for aesthetic purposes in Summer is less of a priority and would have to be achieved by growing it in a pot and maintaining it at a relatively small size. Our greenhouse is a more pleasant place for its year-round, noble presence, and it would be a travesty to prevent it reaching its full, commanding, potential. Take note though, Archer, 2004 says that at altitude in the Highveld of South Africa it does tolerate a few degrees of winter frost, regenerating in spring if the upper parts are killed off. So perhaps there is scope to try growing more hardy selections outside here in the UK, thereby making a very valuable addition to the gardener’s repertoire. I want some, where can I get it? I checked the RHS Plant Finder database (RHS 1) and only 7 specialist nurseries list it (and one of those is in Cape Town). However, on checking the websites, only 2 seem actually to sell it, and neither have it in stock. There’s currently (October 2012) one seller on e-bay, but their plants only get 100-250cm high, and the ‘photo looks like another species, so I’m not sure what you’d be getting. This suggests to me that it really is quite an unusual plant outside of institutions and large collections, hardly surprising given its size, and cultivation requirements. So it’s equally unsurprising that there’s now a cultivated variety, called P. cyperus “Nanus”, said, by the RHS (RHS 2), to grow to only 1.5m, making it a more practical proposition for ordinary gardeners, but undoubtedly at the expense of some of its quintessential size and grace. 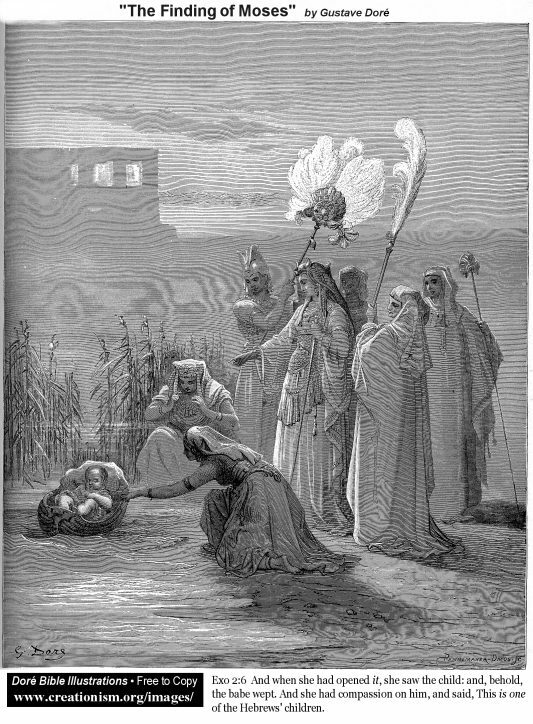 A classical representation of the Biblical story of Moses in the bullrushes. The bullrushes my be depicted as several different species, or non-descript, as here. Where would we be without Cyperus papyrus? 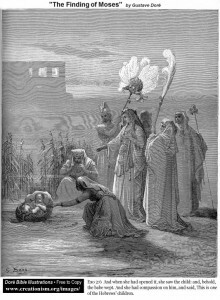 Our plant has many historical connections, notably it’s popularly thought that the basket of the Bible’s story of Moses being placed in a basket and hidden in the bulrushes to escape the Pharoah, (Exodus 2:3), was made of this plant. The bulrushes may also have been this or another sedge and probably were not, as often depicted in illustrated Bibles and elsewhere, a Reedmace (Typha sp.). C. papyrus is one of the most economically important Cyperaceae. It’s widely reported to have been used to make basketry, sandals, and even boats and houses, by the Egyptians and other ancient civilisations. They also ate it, both rhizomes and shoots. More recently it’s also been used for animal fodder and as an animal medicine. The literature on its ethnobotany and the variety of its economic uses, as well as its ecology, is extensive (Hakuno 2005, Parkinson and Quirke 1995, Terer et al. 2012). It is known to have the ability to trap sediments, and therefore is useful for filtering out pollutants including heavy metals (Serag 2003, Terer et al. 2012), there is a great deal of active research in this field. 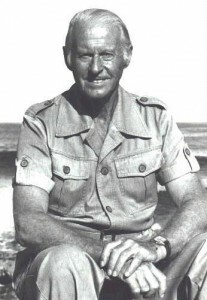 Thor Heyerdahl, renowned Norwegian papyrus boat builder. 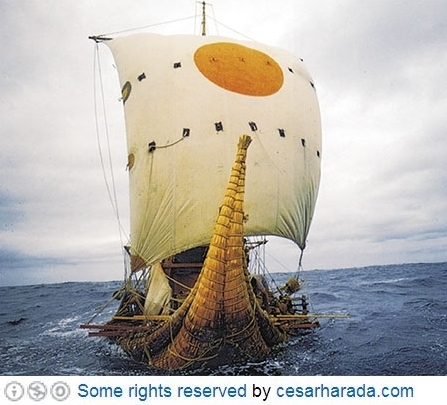 Across the Atlantic in a papyrus boat … In the first of his “Ra” expeditions in 1969, Thor Hayerdahl, the famous Norwegian adventurer and ethnographer, built a boat entirely of papyrus, and attempted to sail from Morocco, across the Atlantic, to South America. The absence of papyrus in Egypt (see post 2 – taxonomy and distribution) meant he had to import 9 tonnes of it from Ethiopia. The boat sank and the expedition failed, but not before he’d already travelled 4345km. Heyerdahl had a very serious purpose to this and other expeditions he’s famous for – notably, “Kon-Tiki”, across the Pacific by balsa wood raft – it was to demonstrate both that there were links between the ancient civilisations of South America and Africa which long pre-dated any European discovery of the Americas, and also that the materials and techniques they had to hand were fit for purpose (Heyerdahl 1970). Ra II – full sail across the Atlantic. So famous was Heyerdahl at the time, that when he built Ra II, he had to avoid the disruptive attentions of the paparazzi by labelling the imported papyrus “Bamboo”. Ra II, designed by consultant Bolivians whose skills had been honed on Lake Titicaca, completed the transatlantic voyage successfully, 3,200 nautical miles and 56 days later, making landfall in Barbados. These days biofuels are an important form of green energy and papyrus has been considered as a potentially important source of biofuel in some African countries, such as Rwanda, because of its high productivity and its convenient habit of growing in large, relatively pure species stands. It can be dried and compressed into brickettes, before being burnt (Parkinson and Quirke 1995). The Rwandan Government’s current understanding is that “a preliminary study was done purposely to find out whether briquettes made out of carbonized papyrus can be used as fuel for cooking. However, the study presented abnormal ash and fumes that need a detailed study to see how their quantities can be reduced before these briquettes are recommended as fuel for cooking” (Twesigye 2012). The detailed study has yet to be undertaken. None of these uses compares to its value as the medium for most of our recorded history for three thousand years before modern paper was invented. That period covers the entire ancient Egyptian and Greek civilisations and a sizeable proportion of the Roman Empire too. There is an entire discipline “papyrology” devoted to the study of the papyrus scrolls left behind by our ancestors. All photographs were taken by P. Rooney and may be used freely. Except: Thor Heyerdahl public domain Siren (Nasa.gov) and Ra II Some rights reserved by cesarharada.com, My thanks to Garance Wood Moulin for assistance with translation from French. 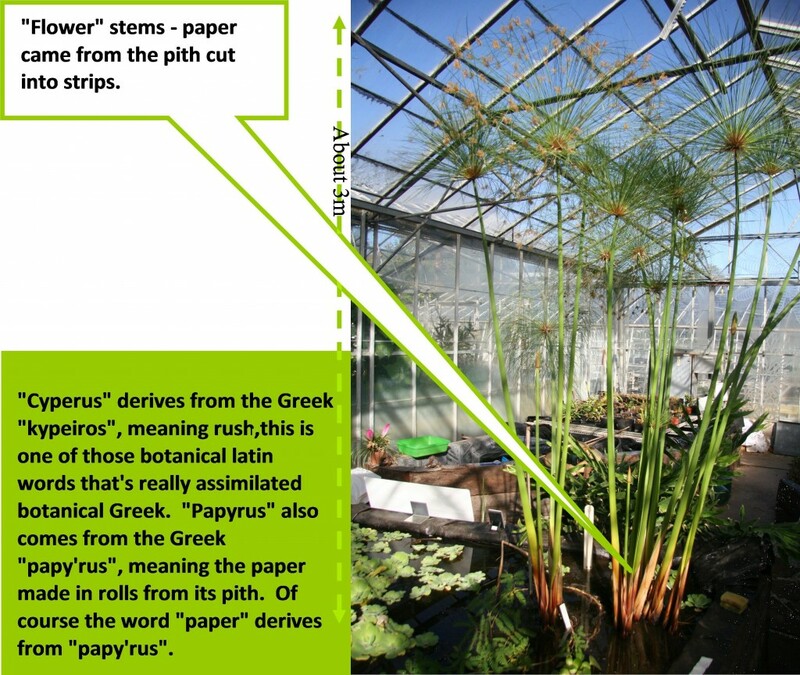 For references, refer to the second post in this series, Cyperus papyrus., post 2 of 2, taxonomy and distribution. This entry was posted in Africa, Countries, Crops, Madagascar, Pond, Species, Water Plants. Bookmark the permalink.